The Fountain of Youth sign. The Fountain of Youth Archaeological Park is one of six recent Florida additions to the National Register of Historic Places, announced late Tuesday by Florida Secretary of State Ken Detzner. The other sites include: The Marzoni House in Pensacola; the Sydonie Mansion in Zellwood; the Scott Commercial Building in Sarasota; the West Palm Beach Fishing Club in West Palm Beach; and the Ace Theatre in Miami. 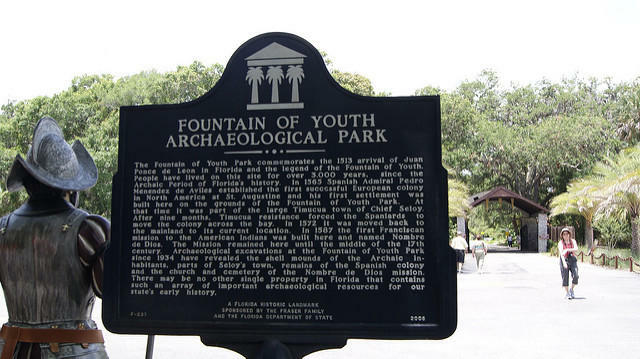 The Fountain of Youth is one of Florida’s oldest legends, based on Spanish explorer Ponce de Leon’s search for eternal youth. The tourist attraction was purchased and developed by Walter B. Fraser in 1927, and is currently operated by a board of directors composed of the Fraser family. But the history of tourism at Ponce de Leon’s famed fountain dates even further back. “Interestingly we have signed guestbooks that stretch all the way back to just after the Civil War, 1867 to be exact,” according to Kit Keating, a spokesman for the park. Keating said it was always a family goal to get the park on the National Register of Historic Places, and it’s a point of pride for the Fraser family. More than 1,700 Florida properties are already on the National Register of Historic Places. The list is maintained by the National Park Service. Photo: "Fountain of Youth sign" by simulation1 used under Creative Commons License. The Nation’s Oldest City is asking residents for feedback as it crafts a plan to guide historical preservation. 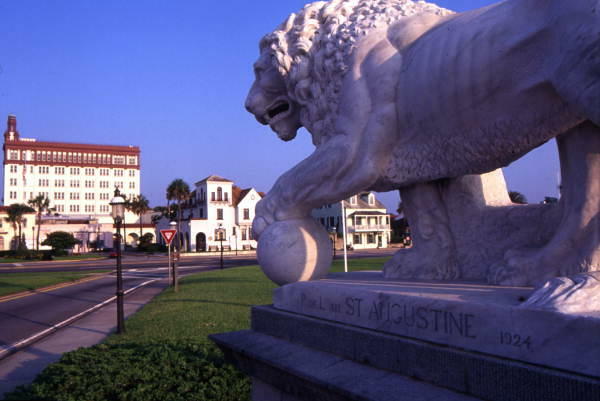 St. Augustine is holding its first input session Thursday.